Used Audi A4 Review - 2008-2015 Servicing, MPG, Insurance | What Car? What used Audi A4 saloon will I get for my budget? How much does it cost to run a Audi A4 saloon? Predictably the diesel A4s are cheapest to run, with stronger residual values and much better fuel economy than the petrols. 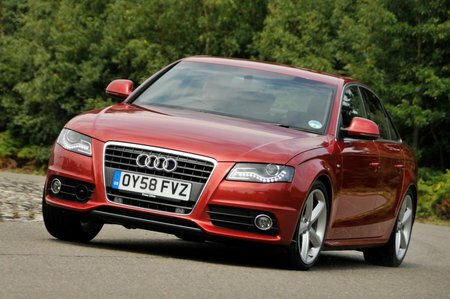 The 2.0-litre diesels average between 55.4 and 47.9mpg, with the 2.7-litre does 44.1mpg and the 3.0-litre 42.8mpg. Compare that with the 1.8-litre petrol's 39.8mpg, the 2.0-litre with between 42.8mpg and 38.2, and the 3.2-litre with 31.7mpg. Servicing costs are on a par with those of rivals, but Audi dealers tend to have some of the highest labour rates. You'll save by switching to a reliable independent garage, or you could try a franchised dealer from one of the other VW Group of companies (Seat, Skoda and Volkswagen itself). They share many of the engines and gearboxes, so should be able to carry out any work. So far there are few reported reliability issues, and no obvious weaknesses, but the previous A4 has a reputation for being less than perfect, so time will tell.